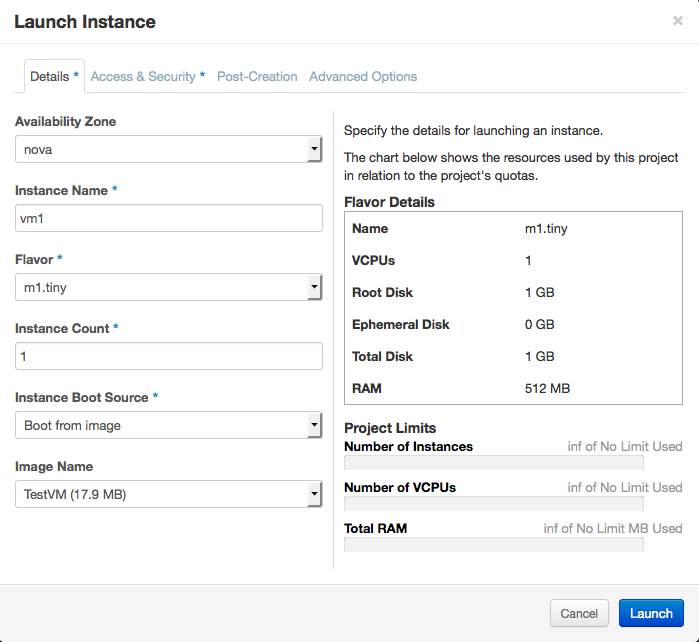 As I’m expecting some interesting news around VMware’s OpenStack strategy at VMWorld 2014 next week, I’m writing this post about OpenStack and vSphere integration especially around Nova compute. I hear people talk about OpenStack vs. VMware but that’s missing the point of the argument. 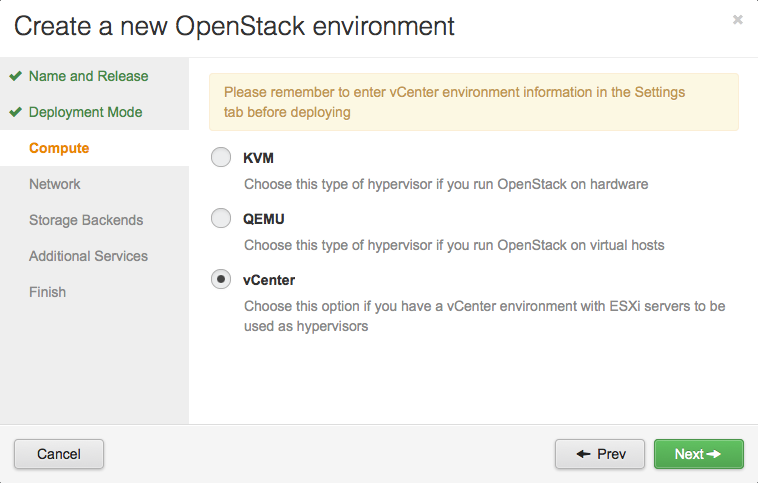 In OpenStack world, VMWare ESXi is one of hypervisor options (KVM, QEMU, Xen, Docker or ESXi). 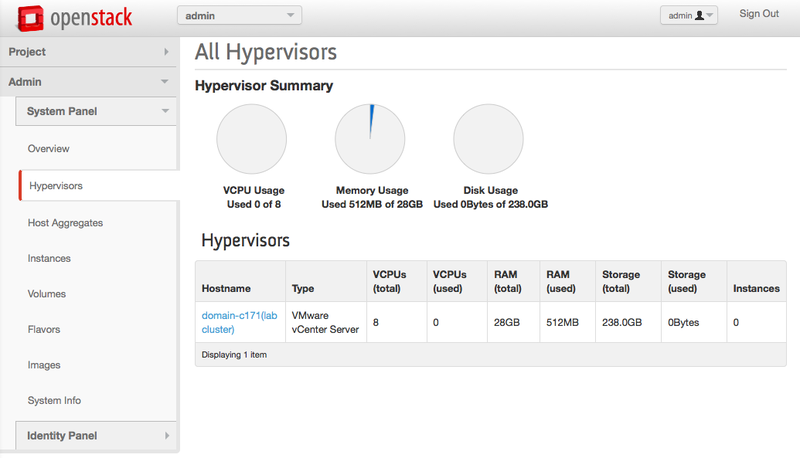 VMware provides a Nova vCenter driver, which enables the nova-compute service to communicate with vCenter to deploy OpenStack instance on ESXi cluster via Horizon Dashboard (or CLI). 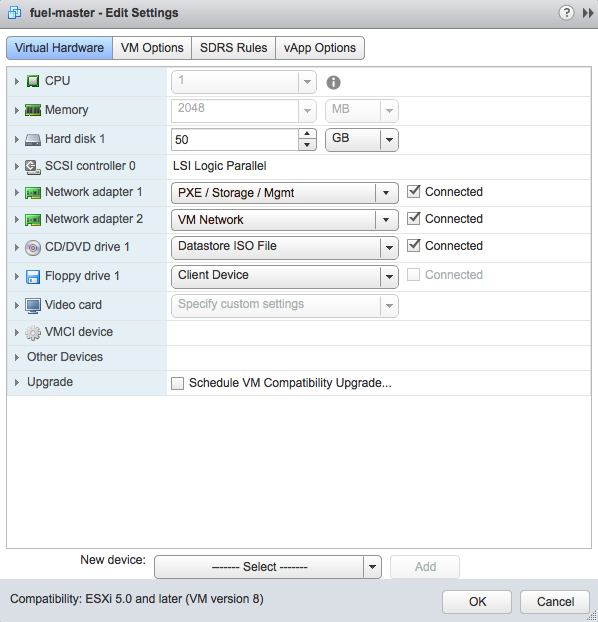 The vCenter driver gives customers to advanced vSphere features like vMotion, HA and DRS, which many customers have been using and felt comfortable. 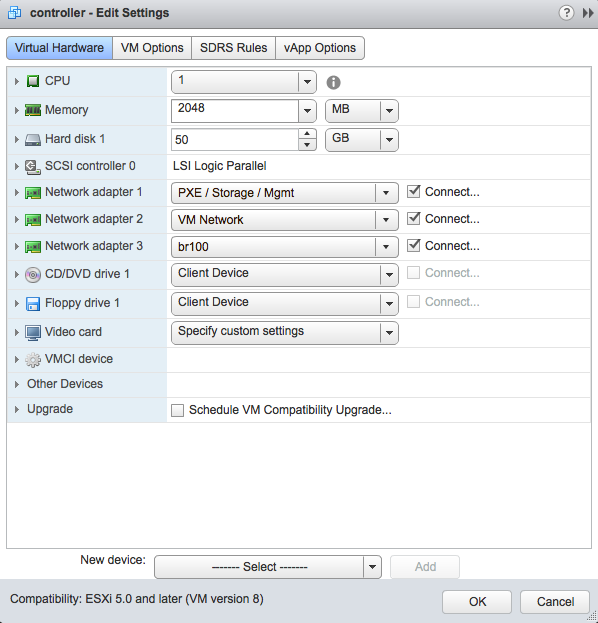 Back in November, 2013 at OpenStack Summit in Hong Kong, VMware and Mirantis announced a partnership to enable customers to use Mirantis OpenStack Distribution with VMware Solutions for Compute, Networking and Storage. 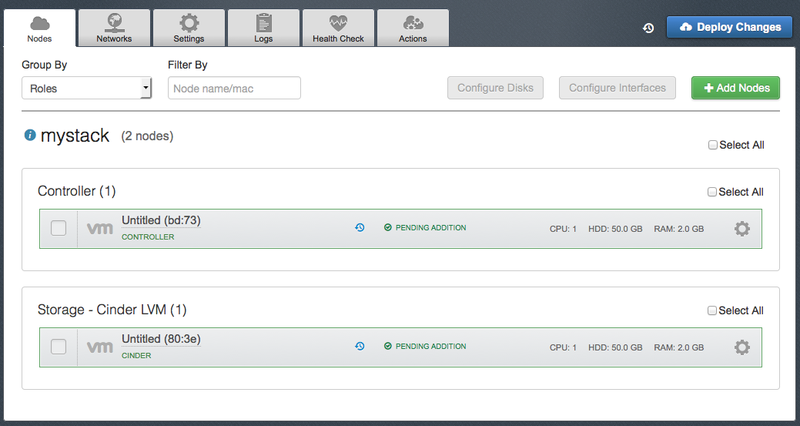 Current Mirantis OpenStack (MOS) release has vCenter driver integration with Icehouse and plan to have NSX driver integration in the future. 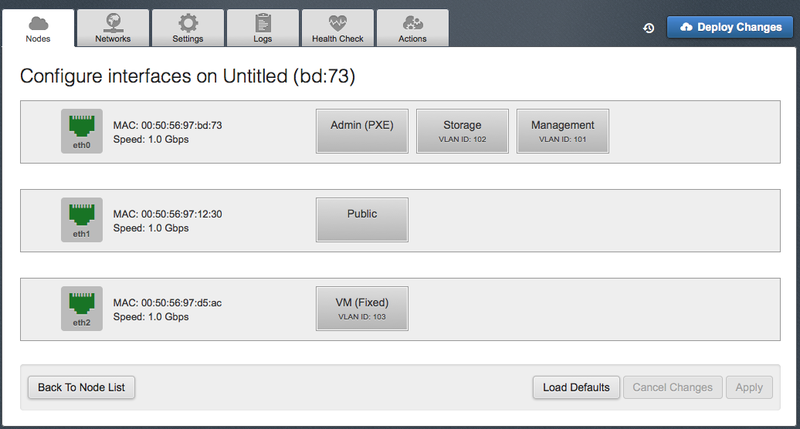 In my previous post, I wrote OpenStack deployment in virtual box. 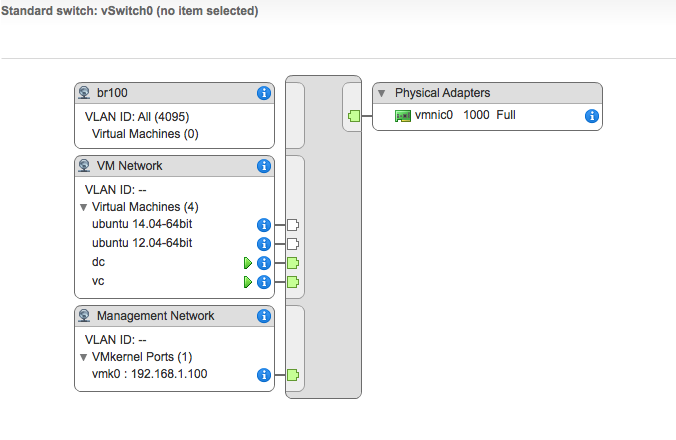 In this post, I will walk through how to deploy OpenStack Icehouse in ESX environment with ESXi as hypervisor using Mirantis Fuel. 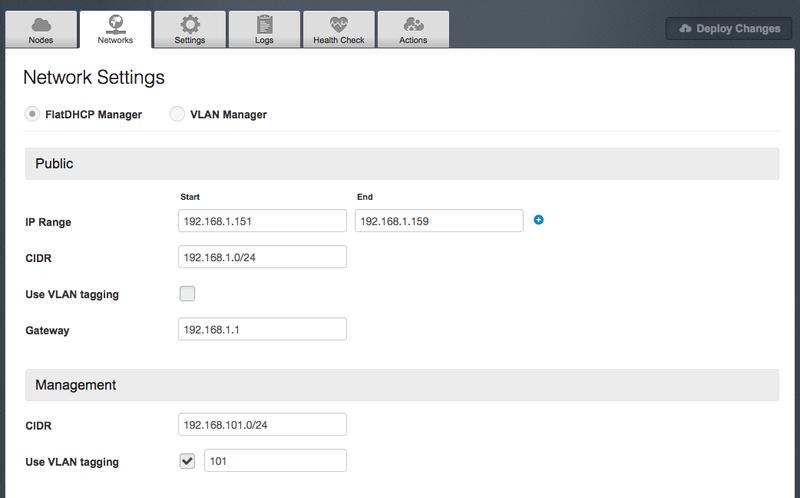 In my lab environment, 2 standard switches and following port groups are used in this OpenStack deployment. I have a DHCP running on vSwitch0 network, so I created separate vSwitch1 with no uplink to place a “PXE/Storage/Mgmt” port group. DHCP on fuel master node and slave nodes which will PXE boot will be placed on the port group to avoid conflict with existing DHCP. Also, you will need to create a port group called “br100” to be recognized for OpenStack instances to connect to. 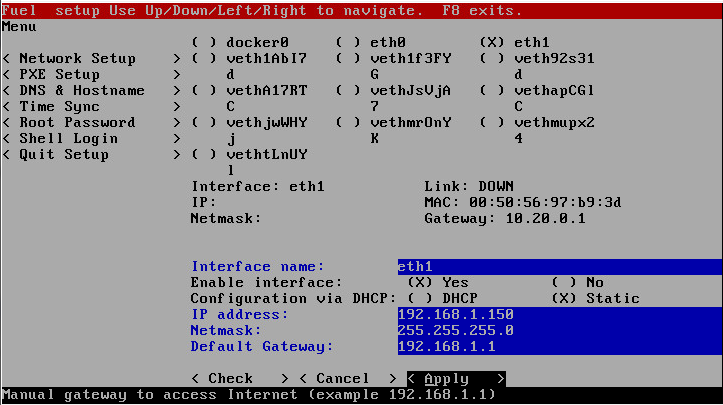 In my lab environment, I configured eth1 to put static IP address to make fuel GUI accessible from VM Network. 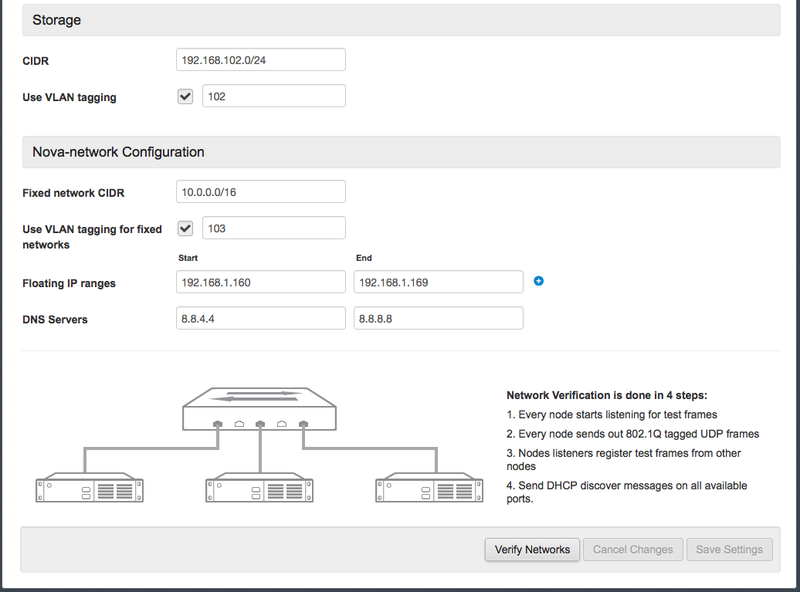 Fill out the Network Settings fields, and then Save settings. My lab environment looks like this. 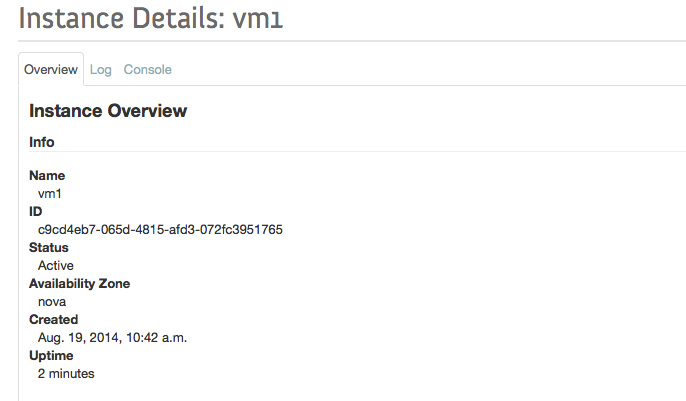 OpenStack deployment with vCenter is done! I hope this post help those who are interested in OpenStack to get start with an existing VMware environment and to understand its integration with vSphere. Any feedbacks and corrections are welcome. This entry was tagged Icehouse, Mirantis, VMware. Bookmark the permalink. Thanks for writing it down. Your post was helpful for me to get it going pretty quickly. Thanks for the note. I’m glad to hear my post helped!